Two alleged identity thieves are in San Luis Obispo County jail after sheriff’s deputies caught them stealing mail and stashing methamphetamine. 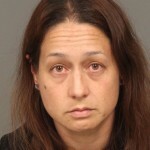 Around 10:45 Tuesday, deputies responded to a call about a person stealing on the Nipomo Mesa. Deputies spotted the suspect’s vehicle and stopped it near the intersection of Highway 1 and Halcyon Road. Deputies searching the vehicle found mail from 117 victims, according to a San Luis Obispo County Sheriff’s Office news release. Two children and 1.4 grams of marijuana were also in the car. Deputies arrested Jose Ramirez, Jr, 35, and Angelique Ugalde Ramirez, 32, both of whom are described by the sheriff’s office as Grover Beach transients. The children, ages 2 and 5, are now in the custody of Child Welfare Services. Detectives searched a Santa Maria motel room where the suspects were staying and found more stolen mail, including bank statements, credit cards and tax statements. Investigators also found materials used to forge checks and approximately 7.6 grams of methamphetamine that was easily accessible by the children. Both Jose and Angelique Ramirez face charges of identity theft, receiving stolen property, forgery, possession of a controlled substance and child endangerment. Jose Ramirez is also charged with violating his probation. The Sheriff’s Office is working with the U.S. Postal Inspection Service to locate victims of the crimes and to return mail to the owners. Taking meth is a choice. Taking meth around your children is another choice. I am sorry those children will probably be put in the hands of CPS, but they are not better off if there is a possibility of the children ingesting the chemicals around the house, or being subjected to their own parent’s manic behavior while they are under the influence. IF the parents use this opportunity to get clean, get counseling, establish an income, and then get their kids, this arrest could be a positive new beginning. I don’t believe jail is an answer for drugs, but it does stop them in their tracks when they need stopping. There are now new programs that go into the jails and offer case management and housing if the inmates agree to and actually want help getting off meth and turning their lives around. If they don’t, their children will be raised by someone else. Again, their choice. Thank you for having human kindness and compassion. Yes programs are much more helpful then jails, or institutions. There are two small children who need their parents here. Let’s hope they can pull their lives together! I am hoping for that. But then, I am not like others who just dig in and start chewing and biting. I like to think there is good in everyone. Maybe if we stopped assuming people are just so much garbage….held some hope for them….they would feel more encouraged. I am not going to look back and see how many thumbs down I got here….I find the hate level here a bit repelling. Thank you for have compassion and human kindness and seeing that programs are more helpful then being hurtful with bitter judgemental comments. Ronald McDonald unmasked. The manscaped eyebrows gave him away. Your user name must be fitting since you sure think highly enough of yourself to judge a good man who has made some bad choices. Oh my! Is that Boy George? Oh you don’t remember your old side bunkie from the farm? 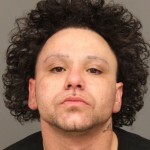 You used to do his eye brows and he would tip you in ramen noodle soups lol! Went over my head, so I hope you amused yourself. Jose Ramirez, Jr. mug shot reflects his inside and outside. You sure think highly enough of yourself to judge a good man who has made some bad choices. Bozo called. He wants his wig back. No haircut, just remove the clown wig that’s slipped a bit too far back on his head. Here we go again…or still. Wonder if they started out as occasional pot smokers and worked their way up? How tiring beating a dead horse, liberals conservatives, liberals conservatives, liberals conservatives. Have you worn out the carpet where you stand yet? Bad behavior starts at home and crosses all party lines. Can you be any more out in left field? Even if true, it would be 2 who did and 20 million who didn’t. Do you see how pointing out the 2 actually cuts against your proposition of a gateway drug? No, not when jails and prisons are full of more just like these two. I’m sorry, but your comment doesn’t make any sense in the context of any factual realities, scientific observations, or understandings of cause and effect. What are you trying to say?